Is this the Year for SAccer? 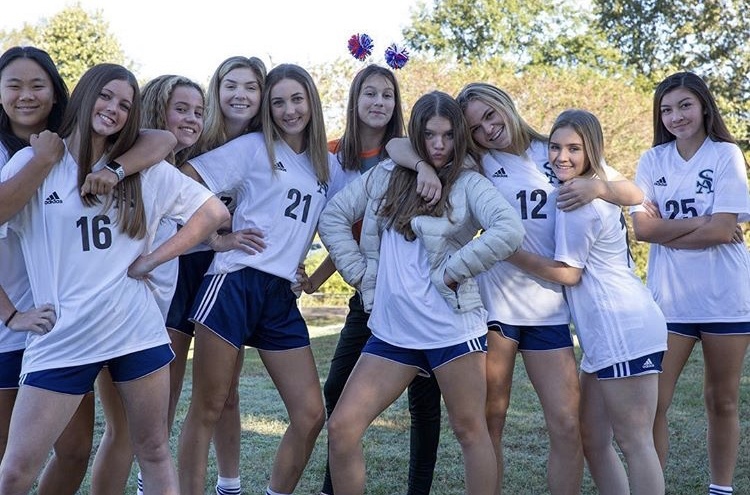 After receiving a disappointing second place in the 2017 state championship game, the St. Andrew’s Girls’ Soccer Team is looking forward to a second chance at being state champions. The team feels that last year’s loss will help motivate them to have another great season and will help make a championship more intriguing. They hope to gain a rematch against their tough rival, Sacred Heart, to redeem their previous loss. The upperclassmen on the team are really hoping to surpass their previous performance at state and to also defeat St. Joe. The seniors especially are really hoping for a great year since it is their last chance for success. The team’s morale and hard work are setting themselves up for a great year.